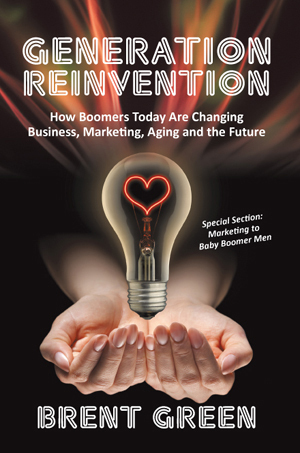 Generation Reinvention Is Changing Business, Marketing, Aging, and The Future. Generation Reinvention is having a lot of influence on the future. Born from 1946 to 1964, Baby Boomers represent 26 percent of the U.S. population while dominating most business categories with their combined wealth. But demographics do not tell the entire story. Today’s Boomer Revolution is a Longevity Revolution. Today’s Boomer Revolution is a Reinvention Revolution. This generation of cultural and social innovators has influenced the shape and trajectory of every life stage they have experienced. In their teens, they questioned authority and insisted on a more egalitarian society through their consciousness revolutions. In their young adult years, they popularized new industries such as personal computing and natural products. In middle age, they have become dominant consumers of luxury products, automobiles, educational travel, financial services, second homes, healthcare services, wellness products, and more. With the entire generation over age 50 by the end of 2014, Boomers are already reinventing many traditional business practices and institutions, from advent of medical tourism to later-life entrepreneurialism. 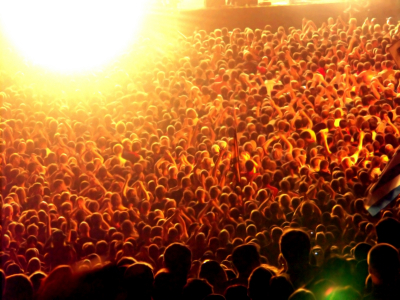 They are still shaping popular culture, from blockbuster films to stadium filling rock concerts. This book give s you astute glimpses into what it actually means to be part of a generation, both personally and from a practical marketing standpoint. Through this lens you’ll discover an unprecedented analysis of generational influences, and then you can explore your own generational identity through a workshop included in the appendix. You’ll finish this book well informed about how you can improve marketing communications, product and service development, nonprofit value, and public policies. You’ll gain valuable insights into how Boomers are reinventing all the traditional businesses and nonprofits that target adults aging past 50 and 60. New research and thinking about market segmentation of the Boomer male cohort. The next few chapters of western society will include Baby Boomers as leading protagonists, while Generation Reinvention continues to change the meaning of business, marketing, aging, and consumerism. Accurately forecasting the Boomer future has substantial monetary implications for numerous industries. Some choose to see nothing but problems with Boomer aging. Readers of this book will come to see extraordinary opportunities. The Longevity Revolution has arrived. Boomer Reinvention has arrived. Generation Reinvention has arrived. Get your copy of GENERATION REINVENTION from Amazon now!.